Portland's own spring regatta for traditional sail, Portland SchoonerFest and Regatta kicks off the summer sailing season the solstice weekend of June every year featuring 7 large, traditional schooners racing and parading under sail together in Portland Harbor with passengers participating onboard and viewing from shore. The 2018 event featured some of the most famous schooners in the country including Gloucester's Schooner Adventure, the 131' Harvey Gamage of Portland, and Bailey Island's Schooner Alert. These classics are racing against hometown favorites Bagheera and Wendameen. And new in 2018 were the first race for Marine Maritime Museum's legendary Schooner Mary E. and Timberwind, an original Portland pilot schooner. Please join us onboard in 2019 as we expect another amazing experience. At this time, only group tickets are on sale. We take groups from 20 to 60. To reserve your group email us at info@tallshipsmaine.org. 6/23/19 - 6:00 p.m. to 9 p.m. Sunday Evening Cruise. Tall Ships Maine, a chapter of Tall Ships America, and the group responsible for the Tall Ships Portland 2015 festival, is a co-host for this event. 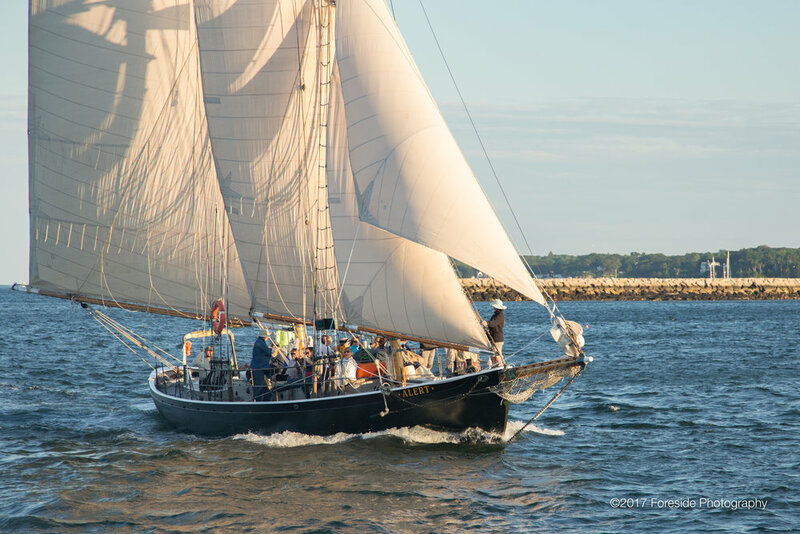 Tall Ships Maine provides 1-week sail training opportunities with academic credit to high school students from all across Maine. It also hosts small and large tall ship events in Maine from time to time. Portland SchoonerFest is its first annual event. 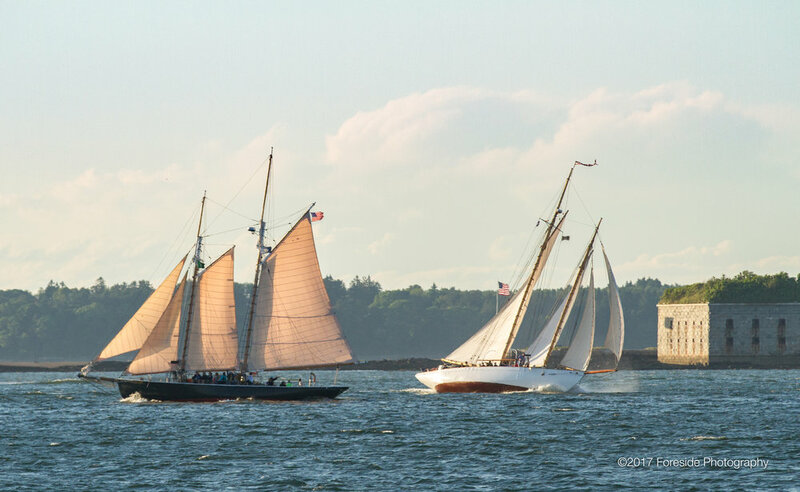 Host Schooners Wendameen & Bagheera, well known to local sailing fans, are both John Alden designed schooners and both built in East Boothbay, Maine in 1912 and 1924 respectively. 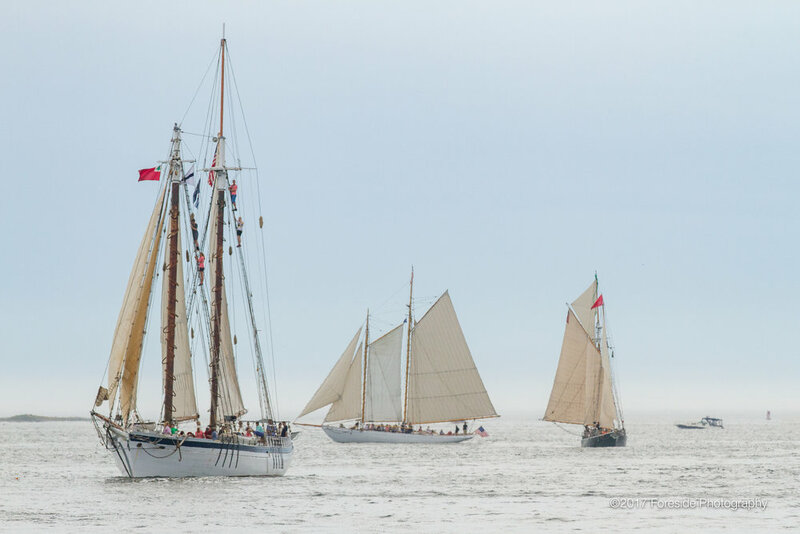 These classics are the two oldest schooners in the fleet this year but are well known for their speed and comfort and are expected to be at the front of the fleet all weekend. If you are looking to sail with a particular group of people, click on these links below to join them. If you would like to form your own group, email info@tallshipsmaine.org to set that up.